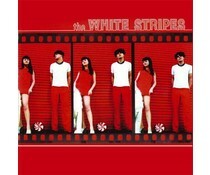 The White Stripes was an American rock duo, formed in 1997 in Detroit, Michigan. 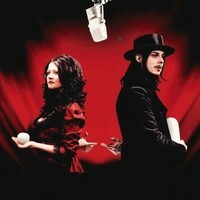 The group consisted of Jack White (songwriter, vocals, guitar, bass and keyboards) and Meg White (drums and occasional vocals), who were married from 1996 to 2000. 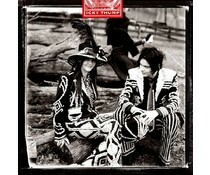 After releasing several singles and three albums within the Detroit music scene, the White Stripes rose to prominence in 2002, as part of the garage rock revival scene. 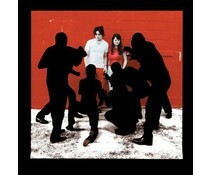 Their successful and critically acclaimed albums White Blood Cells and Elephant drew them attention from a large variety of media outlets in the United States and the United Kingdom, with the single "Seven Nation Army" and its now-iconic bass line becoming a huge hit. The band recorded two more albums, Get Behind Me Satan in 2005 and Icky Thump in 2007, and dissolved in 2011 after a lengthy hiatus from performing and recording.